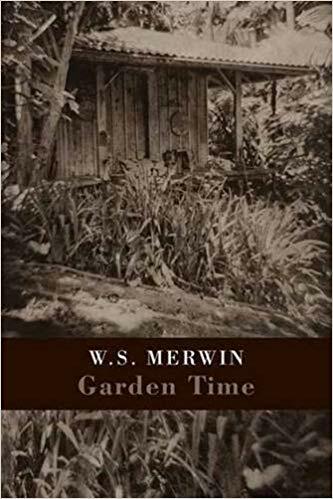 I am not terribly acquainted with you Mr. W. S. Merwin, but now that you have passed I hold you up as a life to strive for through your gracious poetry and ecological stewardship. This profile on the PBS site is worth a read. 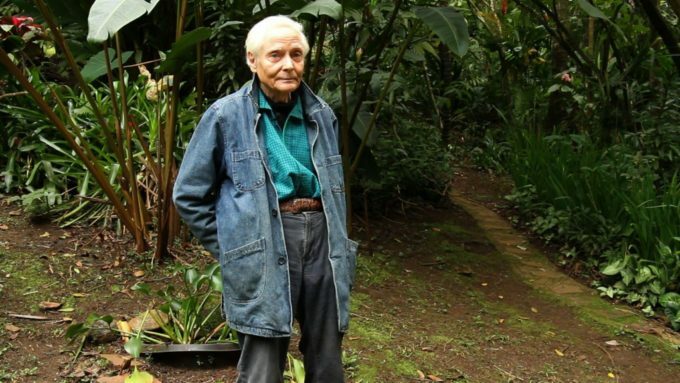 The son of a Presbyterian minister, he was raised in the urban East during the Great Depression, spent years as a young man in France, Mexico, Spain and England and lived his final decades as a Buddhist in a solar-powered house he designed on an old pineapple plantation, surrounded by a rain forest, on the northeast coast of Maui. Here one of his poems on passing. Rest in peace and thank you for your words, for your eloquence. This past December, in some effort of tidying up messes I digitized 35 years of 35mm slides. It’s an ongoing organizational shamble but also a pile of joy. Lots of imagery I haven’t thought about for a long time. There is always a conflict I guess of divulging stuff from years ago that is still important to you, like you are supposed to abandon ship on your old ideas? I’ve maintained an ongoing dilemma that all of the work could be important because it is diaristic, so it becomes hard to parse out the good with the bad as far as “you shouldn’t be mentioned” and “you are the best”. Sure, a lot of it is cringe worthy but because it represents a specific place in time I feel protective of it. Time has marched on but I still have a compulsion to think about it. This drawing War Hawks in particular I hadn’t seen for years. The original is long gone, but I kept thinking about it. 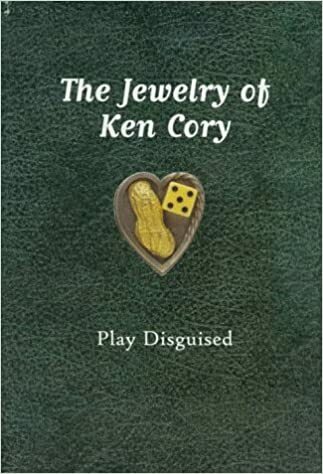 Ken Cory was my metalsmithing professor when I was an student at Central Washington University and one of those solid supports I wish I’d had more of in my future. A real character. 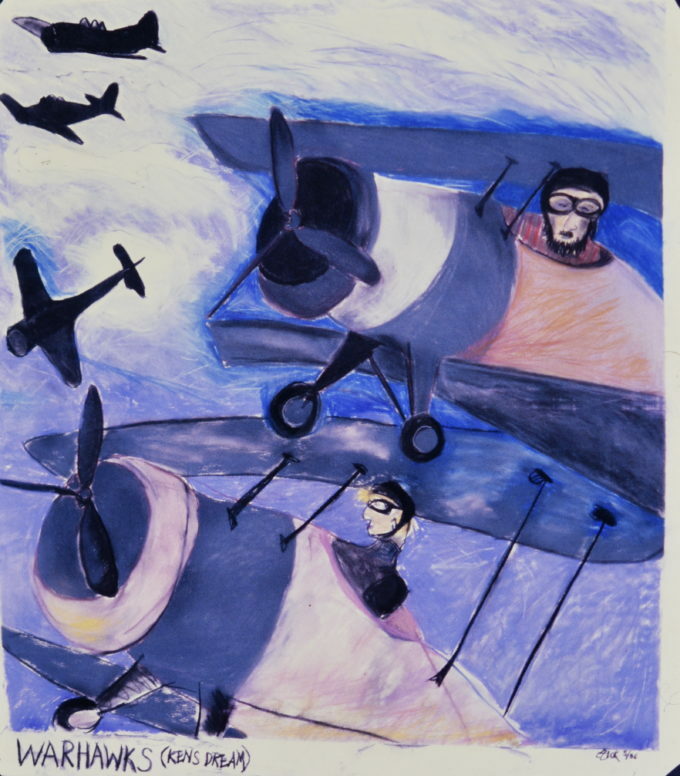 Memory serves that he told me about a dream he had about us flying fighter planes that I went on to illustrate in this drawing. He’s the fighter pilot in the top plane of the drawing and that is me in the pink fighter jet. Honestly the whole thing is pretty ridiculous in the most awesome way. In hindsight I’m interested in it now (outside of a fond memory for Cory) due to the coincidence that I am using plane imagery in my current work again for completely different reasons. Ken Cory was a hilarious person and a clear influence on me. Known for creating “an atmosphere completely lacking in pretense or convention”, I wish at the time I had taken things a little more seriously. I loved his class but I wanted to spend all of my existence in the painting studio. Subsequently to pass his class I stayed up all night the last evening of the term super gluing my projects together rather than learning any true metalsmithing techniques. He never said if he caught on. The silliness of the drawing War Hawks indicates what kind of dialog he had going on between all of us. Rest in peace Professor Ken Cory who passed away in 1994 at the incredibly far too young age of 50. I wish I’d had more like you in my life. It gave me such a thrill to open a metalsmithing drawer at the Tacoma Art Museum the last time I was there and to find his legacy lives on in his work which is now part of their collection. PS I now obviously can’t help but think of Hopper’s Nighthawks when I review the title here, but I seriously doubt that was on my radar at the time.